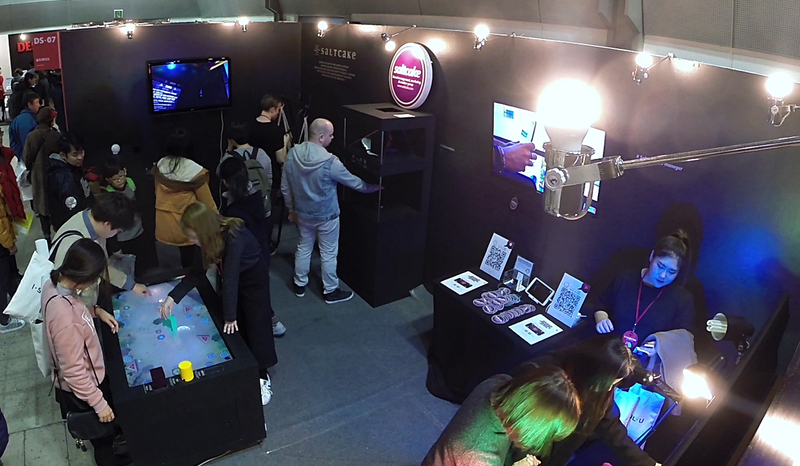 For the 2015 Seoul Design Festival, Saltcake showcased its creativity and expertise in Digital Marketing with interactive installations for visiting professionals and enthusiasts. 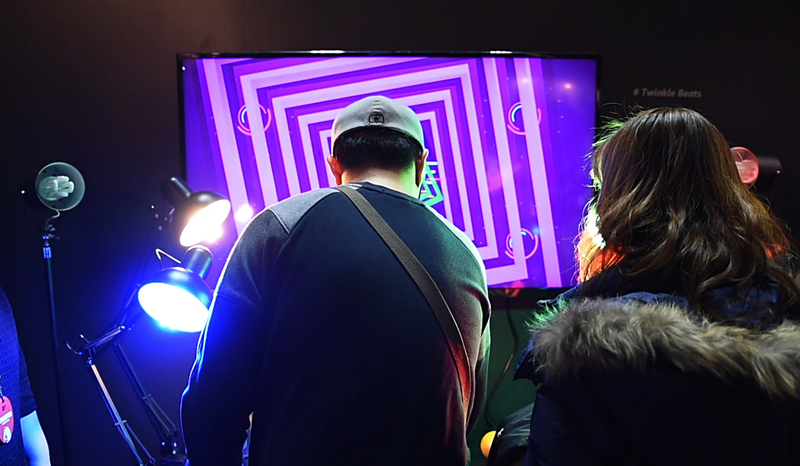 In December 2015, we participated to the Seoul Design Festival to share our passion and skills about interactive design and new media to professionals and public. The exhibition was a real success, during 5 days the amount of visitors was estimated to 90.000. Our goal was to create a booth to showcase different emerging technologies we used and trendy for digital marketing and campaign as Virtual Reality, Hologram or Multi-touch screen. We wanted that people experience and enjoy time spent in our booth to remember Saltcake as a trendy and interactive company. We set up 6 installations based on different technologies and interaction modalities. Paragliding VR: a virtual reality Paragliding simulation made with Oculus rift and Kinect. DragBall: a multi-touch table pinball game using real objects to play. 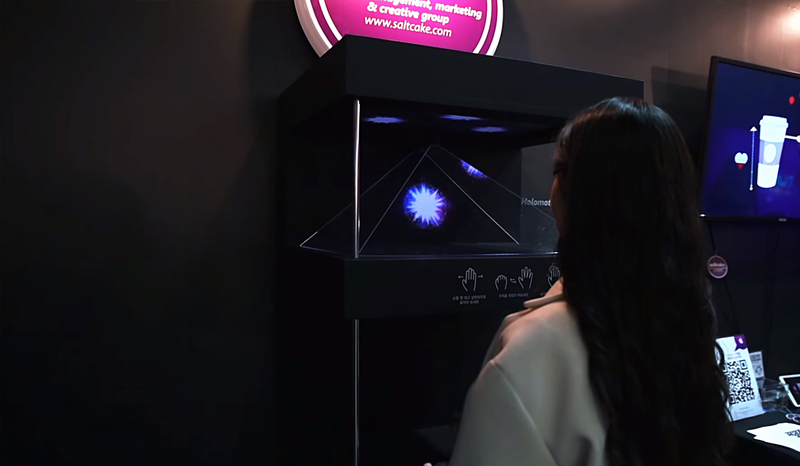 Holomotion: a hologram display controlled by a leapmotion. Saltcake AR : Our free augmented reality mobile Application. Twinkle Beats: an experimental music installation. And Saltcake Manager: a dashboard displaying relevant Saltcake information. 브랜드 마케팅, 크리에이티브 컨설턴시 전문기업 솔트케이크가 지난 2015년 12월 2일부터 6일까지 코엑스에서 열린 2015년 서울디자인페스티발(이하SDF)에서 뉴미디어 전시를 진행했다. 이번 전시는 작년 홍대에서 열린 솔트케이크의 미디어 랩의 미디어를 활용한 기술력과 재미있는 아이디어를 바탕으로 진행한 인터렉티브 전시 ‘Oh’에 이어 더욱 다양한 기술과 아이디어가 결합된 미디어 전시로 꾸며졌다.